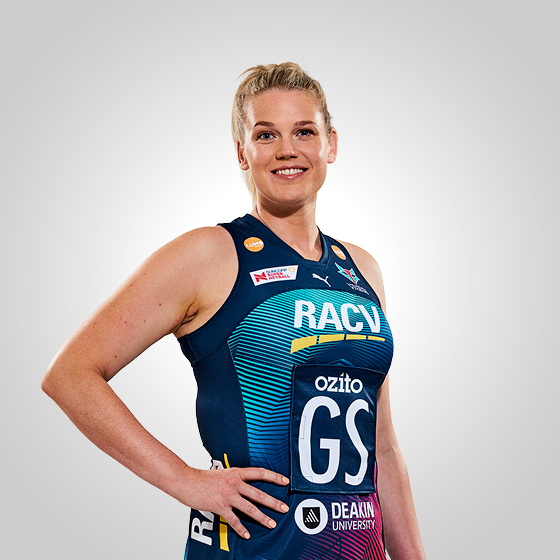 Liz Watson has cemented herself as one of the best netballers in the country. Having a standout season after moving to wing attack from her usual centre position in 2017, Watson has led the entire competition for goal assists and feeds in the last two seasons. Making a rapid rise since being a late call-up to the team in 2014, Watson has gone from strength to strength since making her debut. 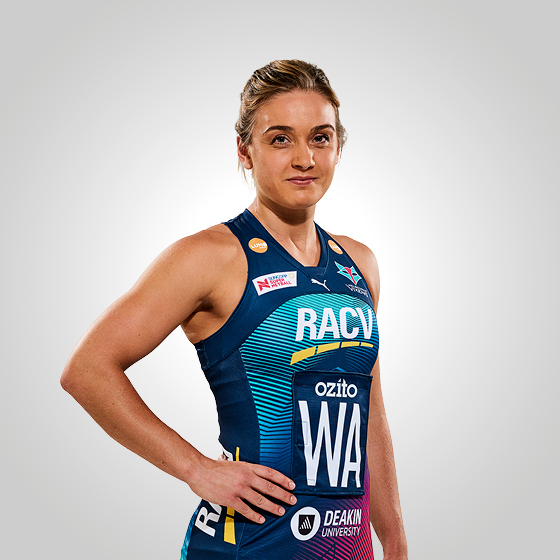 Winning a premiership in her first season of elite netball, Watson now knows what it takes to claim the elusive premiership and has the drive for more. Now a key member of the Samsung Australian Diamonds team, Watson has established herself as a starting midcourter for the Diamonds. I started playing netball aged 12 at a primary school sports competition. Julie Corletto is my favourite netballer of all-time. She was such a tough player, mentally and physically. I've always wanted to be a teacher, so am currently studying teaching at Deakin Uni. The Lion King is my favourite Disney movie. I support Essendon in the AFL - go Bombers! My pre-game ritual is to go for a walk to my local coffee shop and then walk around the park. Away from the court I spend my time outdoors, preferably at the beach. My favourite dish to cook at home is chicken stir fry. The best piece of advice I've have ever received is to make the most of every opportunity.